CHANDLER The stepfather of Kelsey Smith Briggs, the 2-year-old Meeker toddler who died of suspected child abuse in 2005, was sentenced Friday to serve 30 years in prison for enabling child abuse. The sentence came during an emotion-filled plea agreement hearing at the Lincoln County courthouse. Michael Lee Porter, 26, was set to stand trial Feb. 12 on charges of first-degree murder and child sexual abuse for Kelsey's death, but word of a possible plea agreement on the reduced charge of enabling child abuse surfaced earlier this week. On Friday, at least eight deputies and police officers stood guard during the hearing before District Judge Paul Vassar. Porter's family members and friends packed one side of the courtroom behind him, while Kelsey's family members from both her maternal and paternal sides filled the other half of the courtroom. District Attorney Richard Smothermon spoke to the judge, saying the plea involved the state dropping both the murder and child sexual abuse charge and refiling one count of enabling child abuse, with a 30-year prison term. Judge Vassar told Porter that such a sentence requires him to serve no less than 85 percent of that time before he's eligible for parole. "That's 25 1/2 years in the penitentiary," Vassar said, asking Porter if he fully understood and was ready to enter his plea. "Yes I am, your honor," Porter said, followed by his plea of "Guilty." Smothermon read an impact statement written by Lance Briggs, Kelsey's biological father, and Kelsey's paternal grandmother, Kathie Briggs. "The Kelsey we remembered felt loved and safe while in our care ... we will never know what really happened in her short life. We can only take comfort in knowing she no longer feels fear and pain. Up to now, Michael Porter is the only one that has personally expressed his remorse to me and is now taking responsibility. He is the only one that has to live with the guilt of what he did or did not do," Smothermon read from their statement. "Words can never express the impact Kelsey's life and death has had on us. I feel privileged God chose our family to know her, love her and fight for her. "She truly was a cherished gift that blessed our lives. She made us strong, she made us proud and she gave us courage. Our lives have been forever changed and we will not let her be forgotten," the statement concluded. Afterward, Judge Vassar asked Porter if he stood by his plea. He did. Porter, who appeared with his attorney, Paul Sutton, was sentenced to 30 years with the Department of Corrections. As Vassar handed down that sentence, Porter was physically shaken, with tears in his eyes. Vassar ordered him to surrender himself to the sheriff. As he was handcuffed, sobs echoed from his family and friends. As everyone filed out of the packed courtroom, several of them exchanged hugs in the hallway. 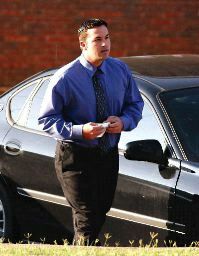 According to court documents, the basis for Porter's guilty plea to enabling child abuse was listed as an incident involving Kelsey's mother, Raye Dawn Smith, in July, 2005. "I heard Raye Dawn screaming and Kelsey crying in the bedroom," the court document said. Porter went into the bedroom and said he saw Smith hitting Kelsey in the stomach, but the court document shows, "I failed to report it." Because Porter didn't report that incident, "He is standing up to take responsibility," his attorney said. "He's the only person that has stepped up and taken a very serious punishment for his limited involvement in the death of Kelsey," Sutton told the News-Star. If Porter's case had gone to trial, Sutton said Porter would have testified about the July 2005, incident. The plea was Porter's decision, Sutton said, and he said he believes that Porter is telling the truth. Friday's hearing was another chapter in Kelsey's story, which has been in the spotlight for more than a year. 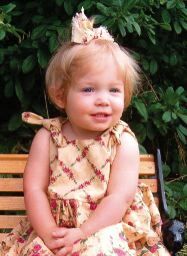 Kelsey died Oct. 11, 2005, of blunt force trauma to the abdomen. For 10 months prior to her death, she was overseen by the courts and child welfare officials because of suspected child abuse. At the time of her death, Kelsey was living in Meeker with Porter and her mother. Porter and Smith divorced soon after Kelsey died and the couple also have a son together. That child, born after charges were filed against Porter and Smith in Kelsey's death, has been in state protective custody since birth. Porter was arrested about two weeks after Kelsey's death. He was charged with first-degree murder on Oct. 20, 2005. The charge of child sexual abuse was added in July 2006, three months after a second autopsy was performed on Kelsey's body, which had been exhumed in April. Kelsey's mother was formally charged Feb. 23, 2006, with enabling child abuse and child neglect. Her case is still progressing through the court system and is set for jury trial in June. Smith, 27, and members of her family attended Friday's hearing. Her attorney, Steve Huddleston, said the Smith family was upset because they hadn't heard about the state's plea negotiations with Porter until it was reported in the media. But Huddleston said he knew a gag order kept Smothermon from visiting with him about it. Smith and her family are satisfied with Porter's sentence based on the 85 percent time ratio, he said. When asked what the plea might mean for Smith's case, he said, "I don't know we've always cooperated." He did say "there's nothing on the table," involving any kind of plea agreement for Smith's case. Huddleston, addressing Porter's plea, said he understands plea bargains and why they are reached, but, he asked, "Why would he do that if he wasn't responsible for the death of this girl?" And while he's heard statements made about Smith regarding Kelsey, Huddleston said, "Anything he (Porter) says is a way to divert attention from him." Smith didn't visit with media Friday, but her sister-in-law from Seminole did. "Thirty years isn't enough for a 2 1/2-year-old's life," Miste Smith said. "We've gone through hell and back. We want the truth to set Raye Dawn free. She was a great mom." Gayla Smith, Kelsey's maternal grandmother, said she does feel sorry for Porter's family, but said Kelsey died while in Porter's care. She feels justice was served. "I think the DA knows he was responsible," she said. "At least for 25 years, I don't have to worry about him hurting another grandchild." District Attorney Richard Smothermon said the plea agreement with Porter was reached after consulting with Kelsey's father, Lance Briggs, and other paternal family members. He said anyone criticizing the plea shouldn't judge the Briggs family for supporting the agreement "until they've walked a mile in the family's shoes." Smothermon said Porter won't be eligible for parole for 25 1/2 years. "That's a significant sentence," Smothermon said, "no matter what the charge." If it wasn't for the Briggs family's desire to accept the agreement, Smothermon said he would have taken this case to trial. Kathie Briggs, Kelsey's paternal grandmother, said, "This is the best thing for our family. We are satisfied." She said one of the reasons they embraced the plea agreement was their feeling that it would be too difficult to sit through a trial. She also commented on seeing Porter being so upset while in the courtroom. "It's hard to see," Kathie Briggs said, adding that she met personally with Porter a short time ago, where "he did express remorse." Smothermon said while the charge of enabling child abuse can carry a life sentence, he and the family are satisfied the system brought justice. "The number of years is what is important to me as a prosecutor," Smothermon said. "What you call it isn't as important as the time he will serve. I see the days and years that, to me, is justice." And while Oklahomans have come to know Kelsey and her family through this case, Smothermon said they shouldn't feel sorry for the Briggs family because of the plea. "It's an agreement they're comfortable with. They're happy to have peace," Smothermon said. "For those who don't agree, I'm the person to talk to. There's nothing a judge or a jury can do to bring Kelsey back to their arms." Lance Briggs said he was satisfied with Porter's sentence, regardless of the charge. "He's going away for 25 years in prison," Lance Briggs said, but added he feels justice hasn't been served until Kelsey's mother faces her charges in this case. Kelsey's death resulted in passage of the Kelsey Smith Briggs Child Protection Act, a child welfare reform law. 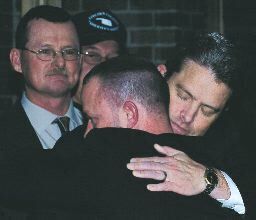 Mike Porter attempted to get his plea reduced in February, 2008. He said that the amount of time he was serving did not fit his crime. Whatever! He should have been charged with sexual assault and murder and should be serving more than one life sentence. His request was denied. COMES NOW the State of Oklahoma, by and through Richard L. Smothermon, District Attorney, and respectfully asks that the Defendants motion be denied. In supports thereof, the State of Oklahoma offers the following. 1. On February 2, 2007, the defendant was sentenced to 30 years to do in the Department of Corrections. 2. That the sentence was pursuant to a negotiated plea agreement between the Defendant and the State of Oklahoma. 4. The State of Oklahoma expressly withholds its consent pursuant to the above statute, and thus this Court has no jurisdiction for any modification of the Defendants sentence. The State of Oklahoma respectfully requests that this Court deny Defendants motion to modify sentence. Porter:I am Raye Dawn Smiths ex-husband. We married on April 18th, 2005. Smothermon:Mr. Porter you were originally charged in this case correct? Porter:Yes, with murder and sexual abuse. Smothermon:You know I believe you murdered her and sexually abused her. Porter:I know that is your opinion. Smothermon:You were aware of all the evidence against you when you pleaded in this case. Why did you plea? Porter:I made a promise I would make a plea if I ever was charged with the crime I committed and that's enabling. Smothermon:I still believe you to be guilty. Why are you here? Porter:Theres a lot of truth that needs to be told. Smothermon: You're not getting any promises, and don't expect anything in exchange for your testimony. You will be in prison for 80% of your 30 year sentence. Porter: Yes, I know. I don't expect anything in exchange for my testimony. YOU CAN SEE THAT MIKE PORTER TESTIFIED UNDER OATH THAT HE KNEW HE WAS GOING TO SPEND AT MINIMUM 80% OF A 30 YEAR SENTENCE. HE UNDERSTOOD THAT!! NO ONE WILL BE GRANTING ANY KIND OF LENIENCY!